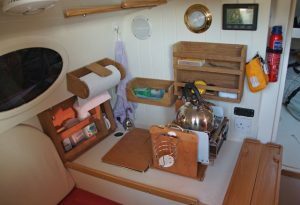 These first three photos show how beautifully empty Seatern was when she arrived, it was not to last! Because I was hoping to use an electric outboard, more electrics were installed than otherwise would be the case. 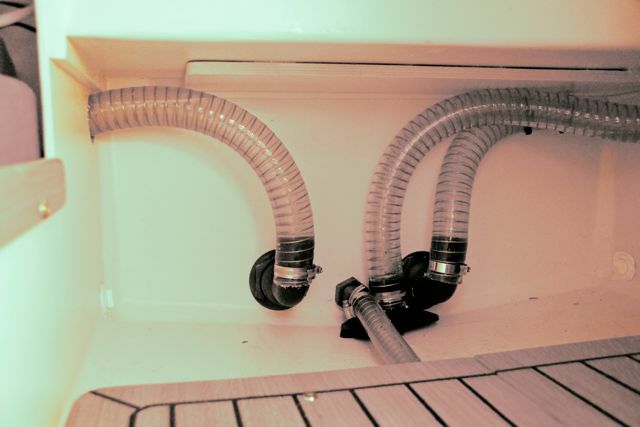 Two 110Ah leisure batteries fit in front of the Ballast pump pipework and the electrics unit fits into the starboard “cubby hole”. 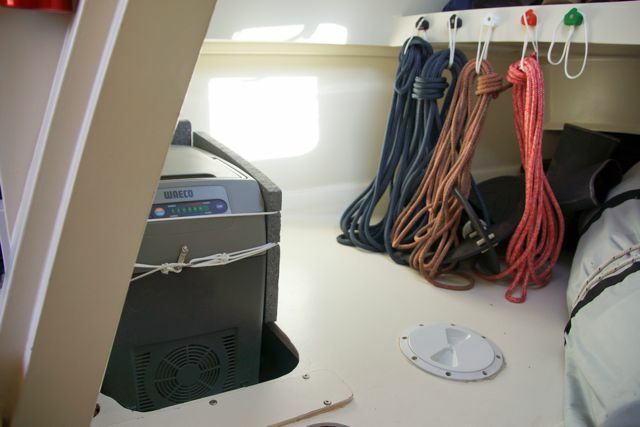 The various cables are routed through the under-seat lockers and cross the cabin behind the batteries. 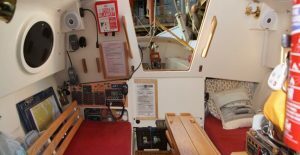 The Chart plotter can be used inside the cabin as well as in the cockpit. The speaker boxes cover the backs of, and connections to, the cockpit wind instruments. 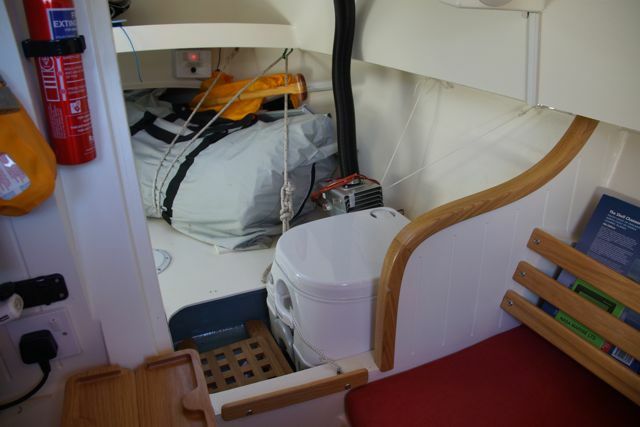 Domestic arrangements: The galley area, portaloo, and cool box. 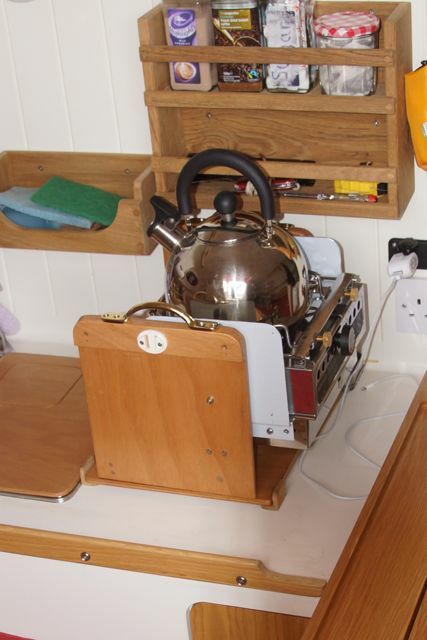 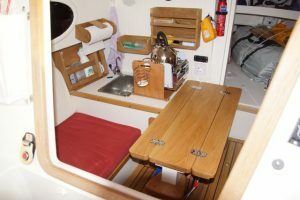 The sink has a ply cover, the gimballed spirit stove unit can be removed and used in the cockpit. The bag in the forepeak is the inflatable dinghy. 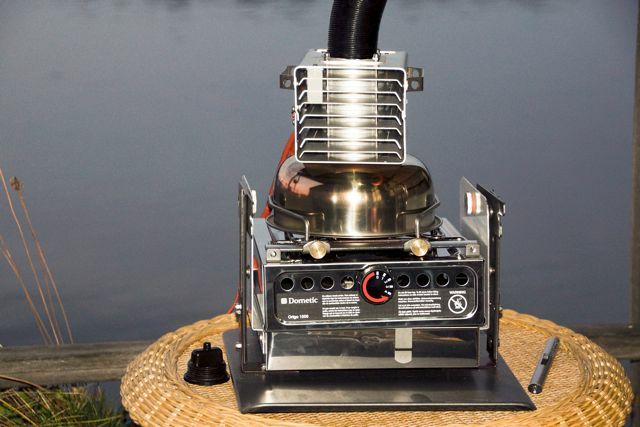 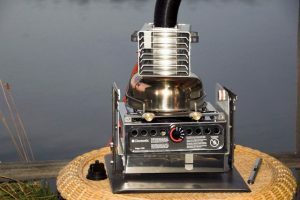 The “Pan-2000” heater sits on top of the Spirit Stove and vents outside the cabin. 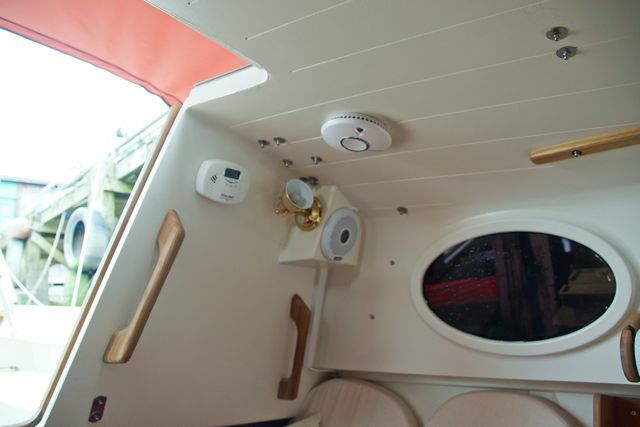 However the CO alarm suggests I will need to put a fan in the exhaust pipe before I start using it in earnest. 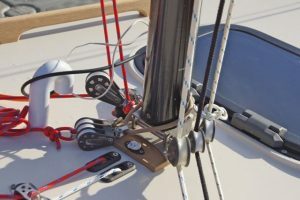 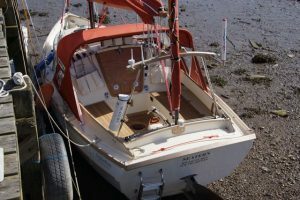 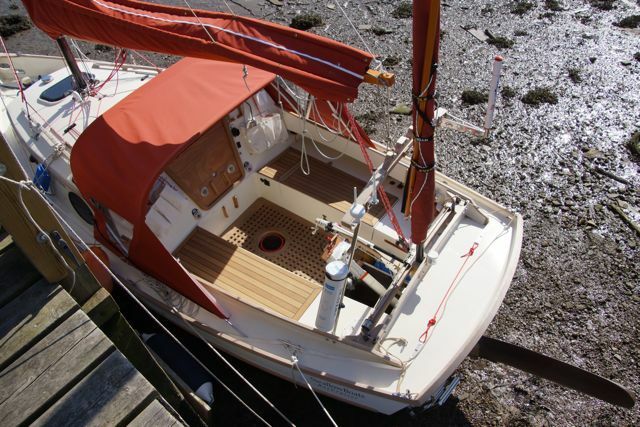 The mast is hinged directly at the Cabin top, the boom with sail bag and part of the track detaches from the mast, and the mast has a pair of lower shrouds designed to stay taught as the mast is lowered. 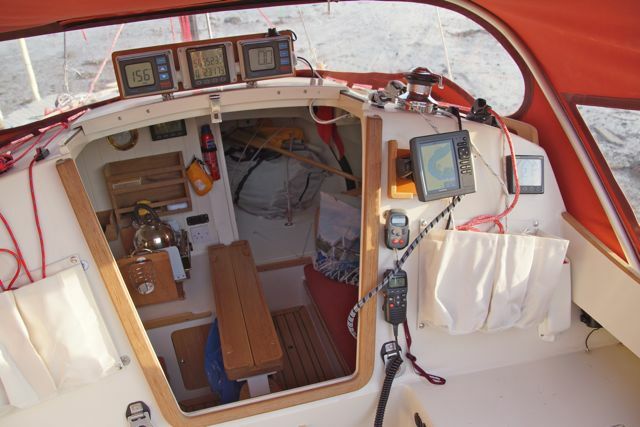 Instruments on the hatch are the NASA compass readout, GPS repeater, and speed log. 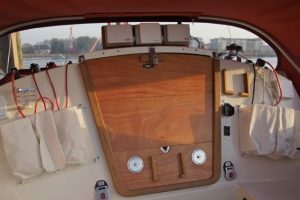 Wind strength and speed are displayed at each side of the boat. 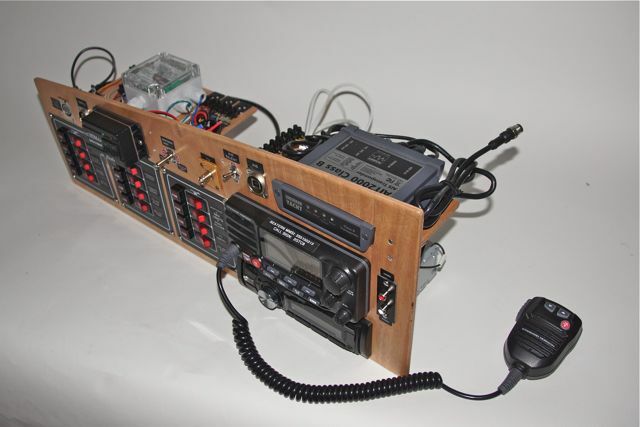 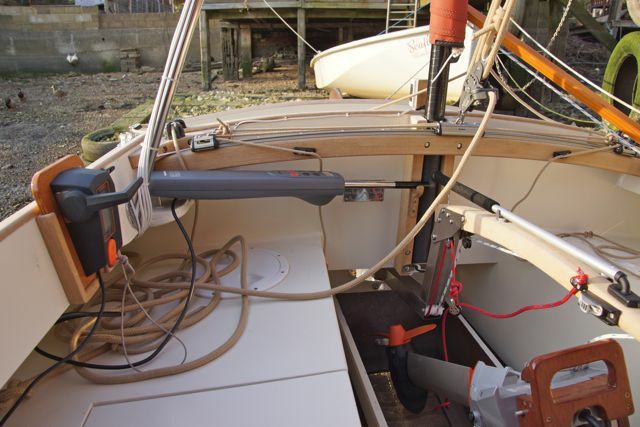 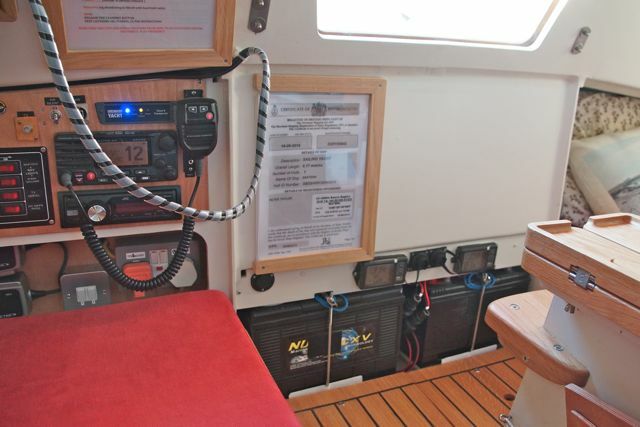 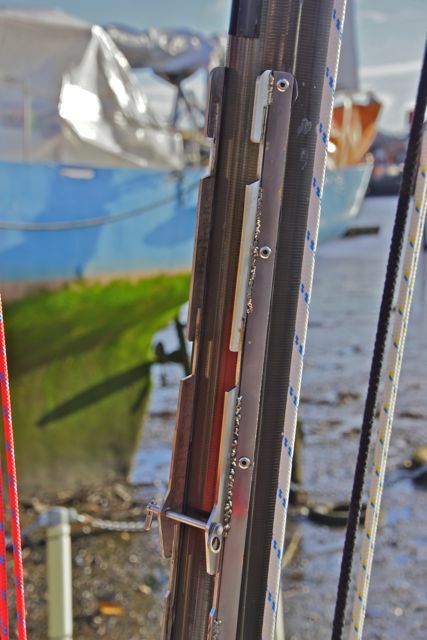 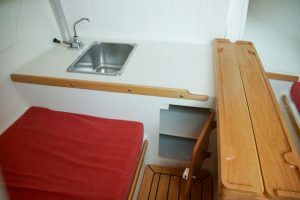 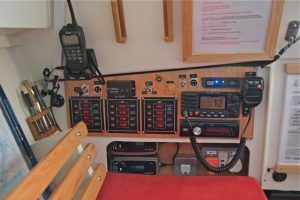 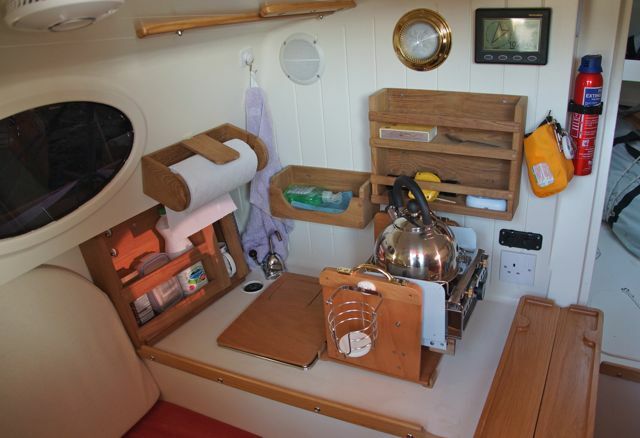 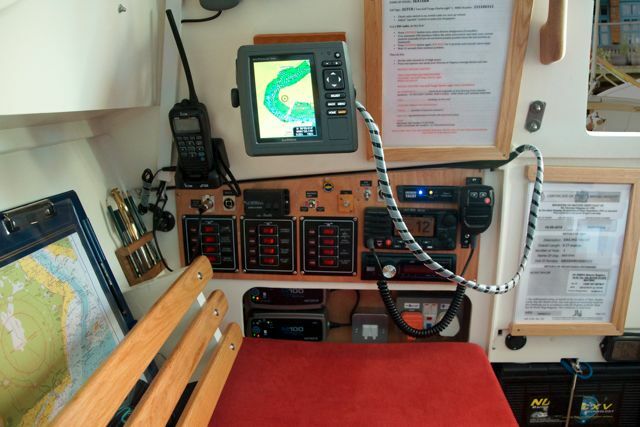 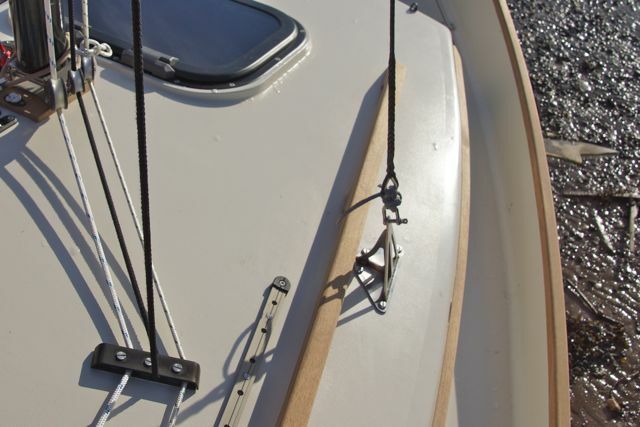 The chart plotter can be mounted in different positions using the teak brackets which alternatively can accommodate the remote throttle for the electric outboard (seen in third photo near the tiller pilot). 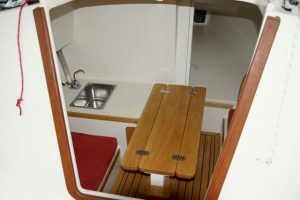 The cockpit grating and teak seat panels were supplied by K.J. 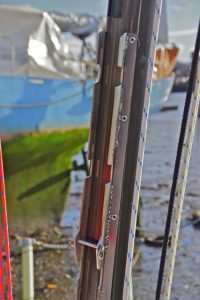 Howells & Son of Poole based on hardboard templates supplied by me.